Believe it or not, PDF files have been the go-to format for contracts and forms of any type since 1993. And sure, they're easily shareable - but that's about it. When you need to edit or sign a document - and you will - that's when frustration can set in. 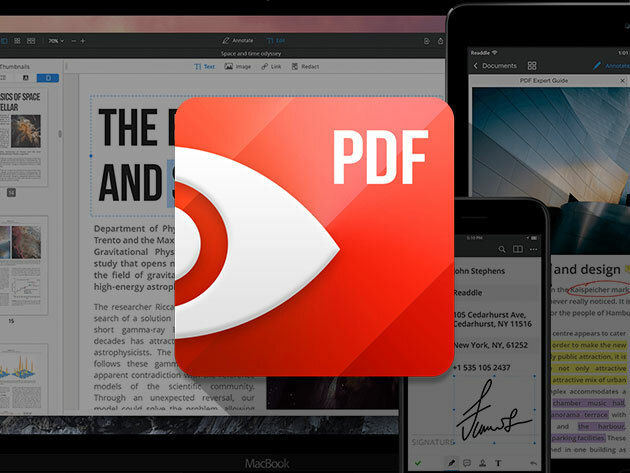 Luckily, there are workarounds, and PDF Expert for Mac is one of the best out there. This all-in-one piece of software hacks through all the stubborn aspects of any PDF, allowing you to edit any text, images or links in the document - and that's just for starters. It also allows you to easily fill out forms, redact sensitive pieces of info or annotate portions of a file. You can even merge multiple pages into a single file, then password-protect them or share them remotely across iPhone, iPad, and Mac. If you get even a couple of documents per year, it can save a ton of headaches. It's 4/20! Smoke 'em if you got 'em - and if you haven't got 'em, check out this roundup of deep discounts on pipes and other accessories. They're all on sale, but you can take an extra discount off the final price courtesy of the Boing Boing store by using the online code 420SAVE. There's nothing like a nice, strong pull on your favorite pipe - until you get the inevitable throat burn. 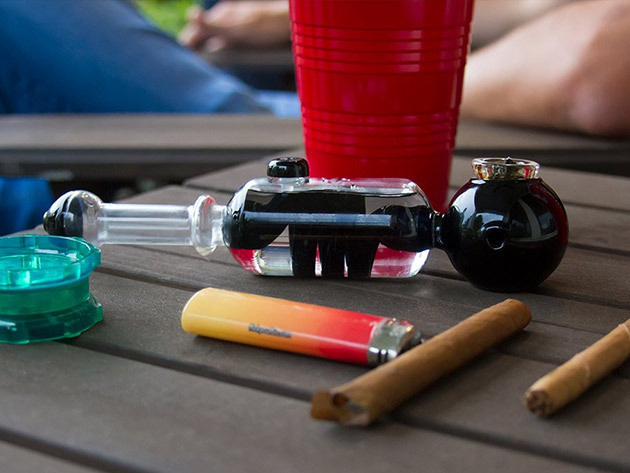 The Freeze Pipe alleviates that with a freezable glycerin coil that cools the smoke on the way in, delivering a smoothness comparable to much bigger water bongs. Originally priced at $120, the Freeze Pipe is now half off at $59.95. Legions of smokers swear by the Twisty Glass, thanks to the smooth pull of its spiral design and easy setup. Just pack in your tobacco, twist the screw and light up. No rolling, no carb, no fuss. When you're finished, twist it back out again for easy cleanup. You can pick up the Twisty Glass Blunt now for $34.99 - 30% off the MSRP. Think you know your herb? 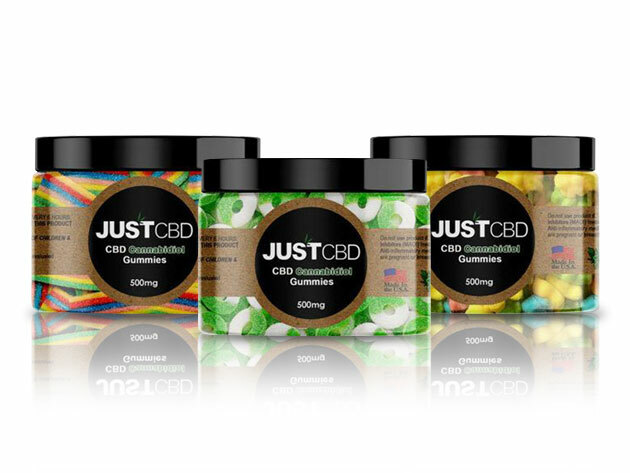 If there were a test for Cannabis 101, this casino-quality deck would be your flashcards. Each one contains trivia and history on everybody's favorite plant, with helpful illustrations throughout. You can get the Weed Deck for $13.50, a 15% discount. Ever wonder if you're cleaning your teeth well enough? If your last dentist visit has you getting a little more thorough about oral care, it might be time to save yourself some guesswork. 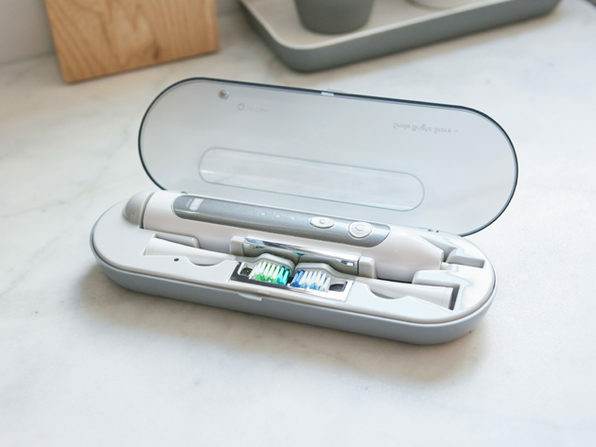 A lot of electric toothbrushes promise deep cleaning, but there's a Platinum Sonic Toothbrush that has power plus the simple but effective innovation of a timer to make sure you're brushing for the right amount of time, every time. And that's the least of the bells and whistles. It charges by USB, which makes it perfect for travel. Plus, the case has a UV sanitizer which kills up to 99% of bacteria on the brush head while it's charging. Turn the power on, and the Platinum Sonic vibrates at 40,000 brush strokes per minute, which not only loosens fine particles from the teeth but is great for the gums. And best of all, there's an Auto Timer that makes sure you're brushing for the ADA-recommended two minutes. It's like having a dentist on the room with you, minus the guilt. The digital age is well and truly upon us, but let's not forget there's a load of free TV content floating literally over our heads. No, we're not talking about the internet. Signals from major broadcast networks are still gratis for anyone who can pick them up with an antenna. 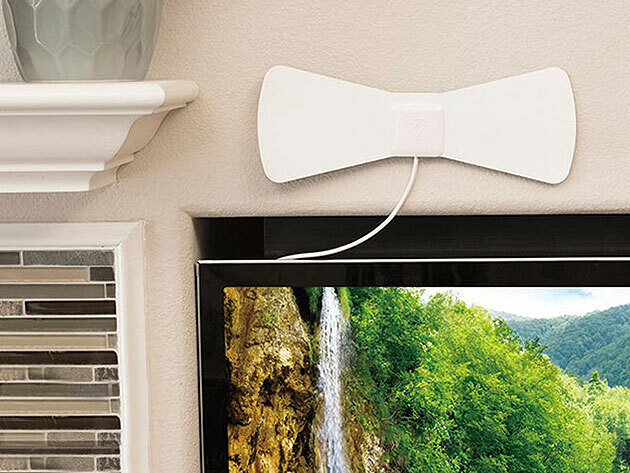 And before you envision those ugly metal "rabbit ears" above your TV set, get a load of the ANTOP Paper Thin 30-Mile AT-105 Indoor HDTV Antenna. As advertised, it picks up signals within approximately 30 miles of the broadcast area, unaffected by windy or rainy days. That's shows from ABC, CBS, NBC, PBS, Fox, Univision and more, relayed with support for HD and Ultra 4K content. At a mere .02 inches thick, it comes with a kit for mounting discreetly indoors and is fully compatible with existing digital TVs and converter boxes. Who said LEGO® had to be ground bound? 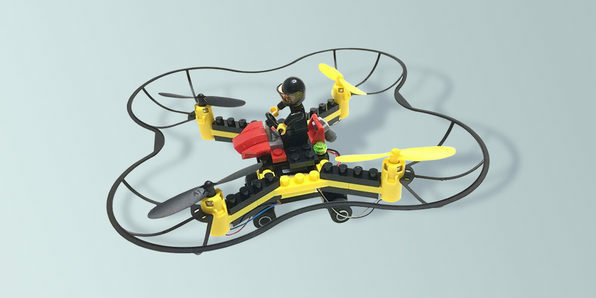 With The Force Flyers DIY Building Block Fly 'n Drive Drone, you can turn LEGO® and other building-block creations into fully-functional flying machines. It's available now in the Boing Boing Store for $39.99. This kit comes with everything you need for remote-controlled long distance flight, including a 6-axis gyroscope, a 2.4 GHz wireless transmitter, and extra rotors for when you inevitably crash. Its plastic frame is covered in studs that are compatible with most brick-building toys, so you can get creative with your quadcopter’s design. Once assembled, you can precisely pilot your flyer through all kinds of tight spaces with the bundled digital proportional controller. When businesses need big cloud projects done right, they need experts in DevOps. For the uninitiated, that's shorthand for the framework that allows development and operations teams to work together toward the same goal - not as independent departments with their own agendas. There's an arsenal of software that has cropped up to help in the workflow, and the Complete DevOps E-Degree Bundle is the easiest way to learn them all. The six-course package includes a big-picture primer on the concepts that make DevOps work, then dives right in to show you how to install and manage a Linux framework. From there, you'll learn how to monitor it with Nagios and link up remote servers like RedHat, CentOS, and Ubuntu. 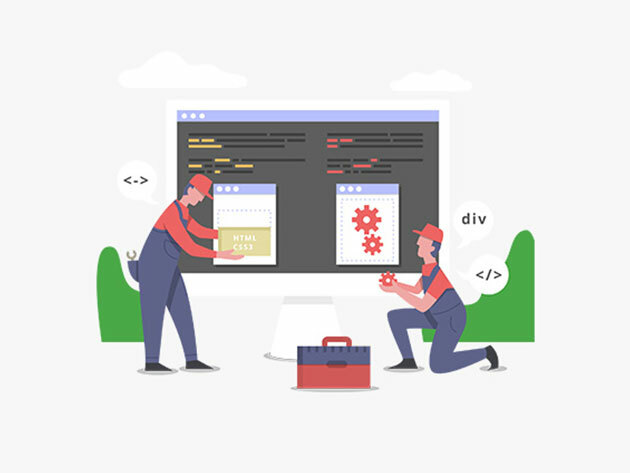 Two entire courses are dedicated to the essential pieces of the development pipeline, including Jenkins, Ansible and Chef. All in all, it's more than 80 hours of reference materials and lessons, leading to a career-building e-degree in DevOps. Are you super organized? You're going to love the Genius Pack G4 and its seemingly limitless, well-placed compartments. Not that organized? You're still going to love this piece of luggage because it's so well thought out that it practically does the packing for you. We've all tried to stuff a piece of carry-on so full that it practically becomes a black hole. That practice becomes almost effortless with the Genius Pack, which not only boasts a separate compartment for dirty clothes but an air valve to vacuum-seal the contents. And that's only for starters: This thing has labeled, tidy spaces for chargers, socks, toiletries - even an umbrella. If you still need more room, an accordion-like zipper space expands it by 25%, and you can tote your jacket or personal bag outside with a handy strap. Made of high-strength nylon, it's sturdy enough to handle whatever you stuff into it, and the 360-degree spinning wheels are a nice touch. If you're an entrepreneur, you're not just hungry for success. You're hungry for knowledge, the insights that can lead to bigger and better ideas and ways to implement them. That knowledge is out there in the bestselling biz books that have changed the game over the years. There's just one problem: In a fast-paced lifestyle, who has the time to read them? That's where Readitfor.me comes in. It's a reading service built specifically for people who need the big ideas boiled down into a compact presentation. 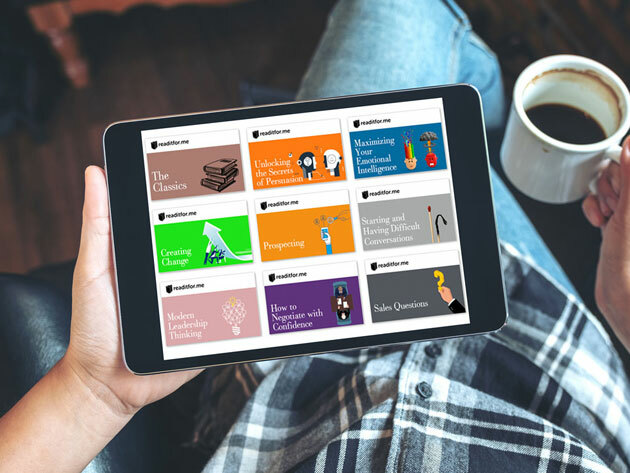 In 12-minute animated videos and summaries, Readitfor.me gives you the big takeaways from bestselling, fact-packed books like The 7 Habits of Highly Effective People, To Sell is Human, Hooked, Steve Jobs, Leaders Eat Last and 10% Happier. The complete library has over 300 essential guidebooks for the business world, with more being added all the time. Countless research studies have proven what is incredibly obvious to anyone who has a favorite song: Music can have a profound effect on our mood. So why not put that science to work for more than just de-stressing your commute? 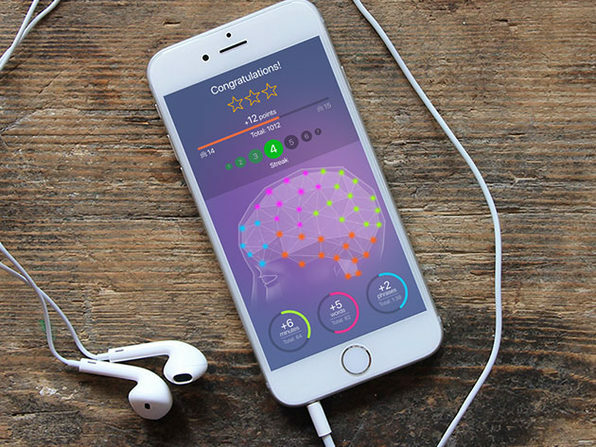 That's the idea behind the Humm.ly Music Therapy App, a new tool that aims to make you more productive, creative and mindful. Curated by actual music therapists and music producers, Humm.ly is more than just a killer playlist. Choose a situation in your daily life and the app pulls up a soundtrack scientifically engineered to fire up just the neurons you need, whether it's brainstorming, winding down after work or falling asleep. 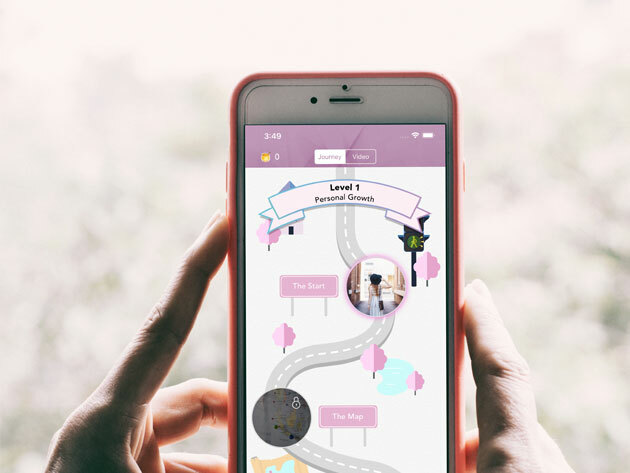 It even gamifies the process so you can stay on track with your journey toward mindfulness. It's about time an app took music seriously enough to harness its full potential, and Humm.ly is engineered to do just that. The one place you want your internet service to work flawlessly is your home - especially if you work there. 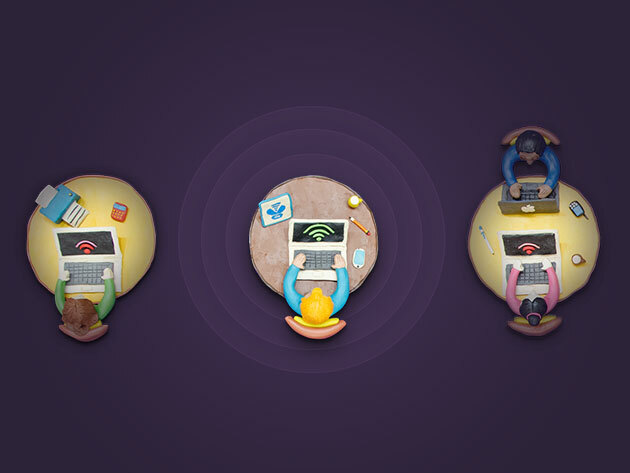 Sadly, we all know that spotty Wi-Fi is all too common, even with the best package. If you've lost crucial projects or had trouble streaming movies, NetSpot Home can not only show you why and where these internet gremlins attack but how to kick them out. It's a troubleshooting tool for your connection that goes through your wireless network with a fine-toothed comb, letting you see where the "dead zones" are in your house with a visual map. 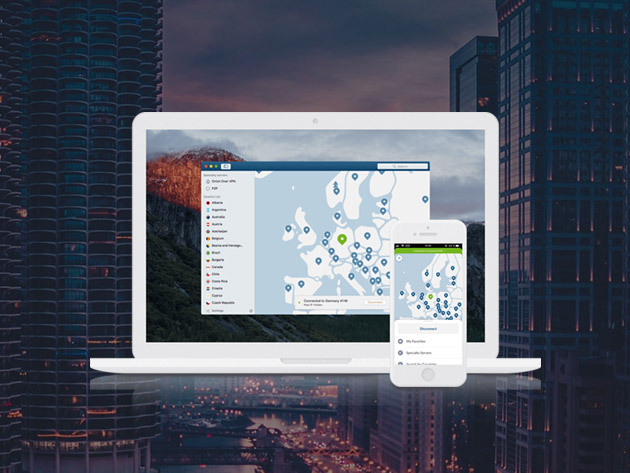 It can further analyze your coverage for any location and help you set up the best hotspot for your needs. You can then monitor your setup with accurate speed tests, and even set up multiple access points and organize them by SSID, vendor or security level. No matter what you've been running on, NetSpot Home can likely make it better. Big companies need to manage big stacks of data, and the language they use to access and manipulate it is SQL. 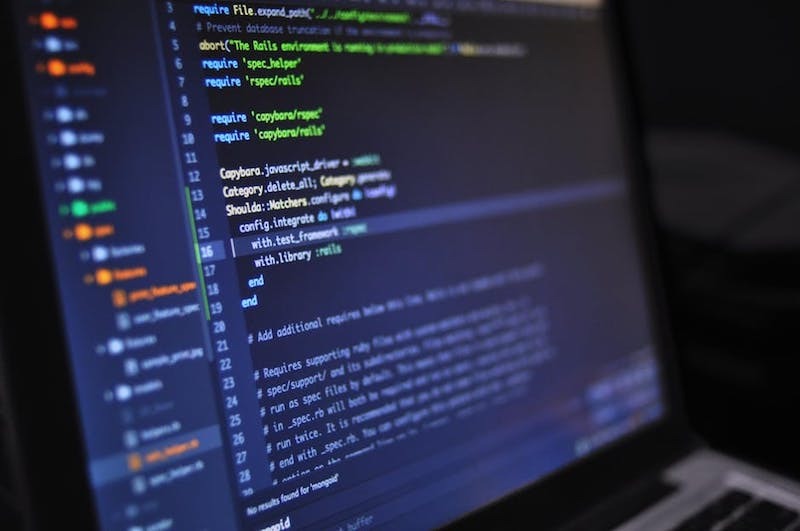 If you want to make a career of IT, you'll need to master SQL like a native tongue to get started in the lucrative field of database management. 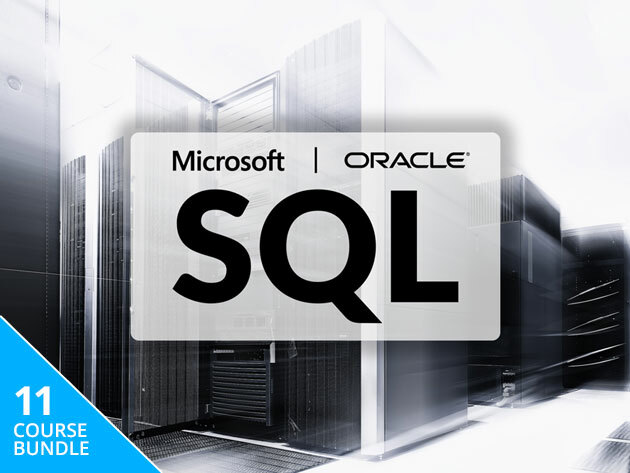 With more than 120 hours of lessons and examples, the Complete Microsoft & Oracle SQL Certification Bundle is the surest way to do it. In 11 courses, this learning package covers everything you need to walk confidently into those server stacks in both Microsoft and Oracle platforms. You'll get a solid foundation in SQL, starting with a walkthrough doing basic queries and functions. 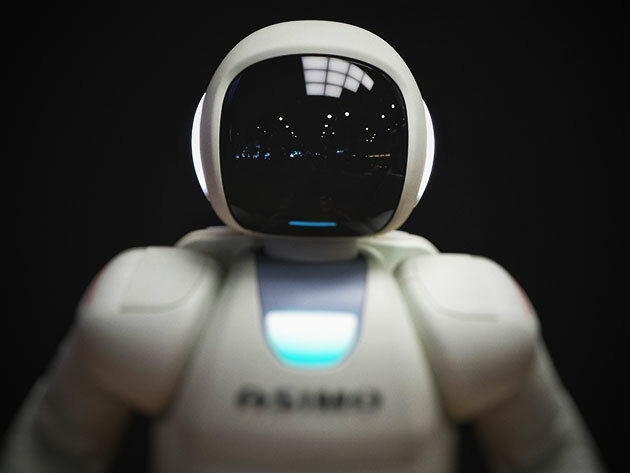 Once you've mastered that, you'll quickly move on to learn the skills that set you apart from the IT herd: Developing data models and business intelligence infrastructure, designing and maintaining a database warehouse, safeguarding it against internal and external threats. You'll get prepared to take certification exams in all of the above and more by the time you complete the course package. Ever heard of Agile? If you're on the ground floor of any big corporate project, it's more than likely you have. Agile is the methodology that major companies use to tackle big projects. And if you're looking to make yourself invaluable, a certification in Agile is what you need to lead that project development team. Packed with info for any level of experience, the Agile Expert Project Management Bundle is a direct path to that know-how. This online training course contains more than 50 hours of training and exercises, with a certification waiting for budding Agile practitioners at the end. 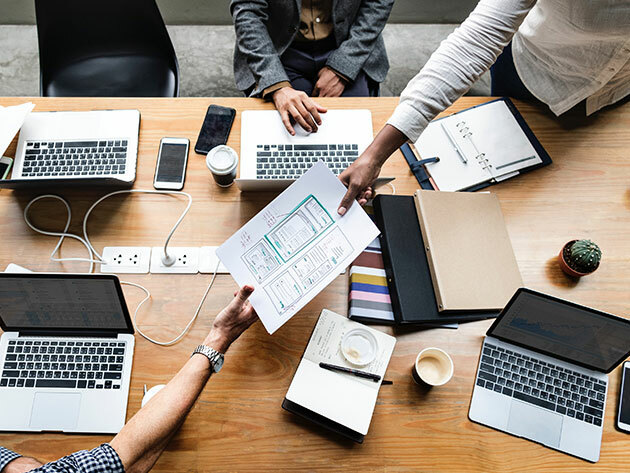 It starts with a comprehensive primer on the overall Agile framework, plus the system known as Scrum that allows you to implement it by laying out group roles and targeting goals. From there, you'll be able to learn how additional methodologies such as Kanban and Lean fit into the overall scheme and get a bird's eye view of the whole process that will allow you to take any project across the finish line quickly and efficiently.